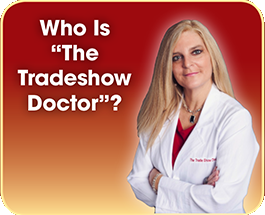 Who is The Tradeshow Doctor™? 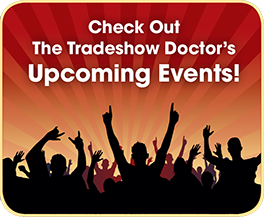 As a result of witnessing ‘unhealthy’ Exhibitor Booths at Tradeshows, Conferences, Shows, Expos, Festivals and Fairs, Diane Wingerter, The Tradeshow Doctor,™ was compelled to discover the cure for this bevy of Exhibitor Booth Symptoms. 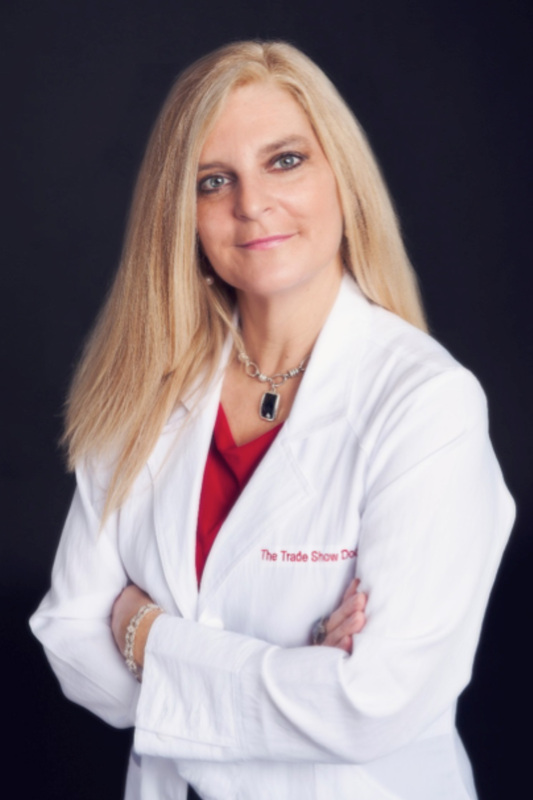 During 15-years of working with Exhibitors, as well as Show Promoters and Organizers, Diane has created results-driven strategies along with tangible solutions which increase The Exhibitors Return On Investment. She believes that if you aren’t going to complete the 6-Step Prescription For Success™, then simply…..don’t do ANY of the steps. Each business has flourished as a result of utilizing a combination of Face-To-Face Marketing Strategies. Not too surprising to discover that “Tradeshows” always seemed to climb to the top of her list. Diane graduated from The Barbizon School of Fashion Merchandising, earned an Interior Decorating Certification from Thompson Educations Direct and mastered an impressive 20+ year Retail Career. As a result of her solid foundation, she combines principals of design, strong business practices, planning formulas, checklists and sales strategies all in one resource. This is quite a powerful, impactful and effective combination. 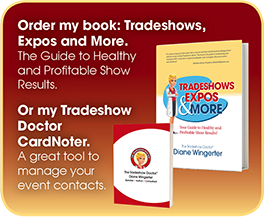 Diane’s advice, whether in person or through her book ‘Tradeshows, Expos & More’ Your Guide to Healthy and Profitable Show Results, provides the answers you need and the next steps to take. Diane’s high energy, inter-active Speaking Engagements, Seminars and Workshops along with One-on-One Consultations, spark Exhibitors to take the necessary steps towards success. These steps can be applied at the very next event. 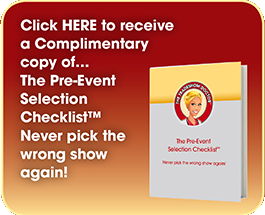 Follow her advice and you will experience Healthy and Profitable Show Results!